He is past president of the National Association of Music Therapy, Western Region. His clinical experience in music therapy spanning 30 years and encompassing numerous populations including psychiatric, intellectual and developmental disability, autism, post traumatic stress syndrome and substance abuse. Ron Borczon has presented numerous papers at national and regional conferences, as well as given many public service presentations. In 1994, he received the Presidential Award from the President of the National Association for Music Therapy. This prestigious honor was given in recognition of Music Therapy work done following the 1994 Northridge Earthquake where he developed innovative music experiences to help school age children in the Northridge community deal with the earthquake trauma. In 1995, Borczon conducted a special workshop on Music Therapy and Posttraumatic Stress Disorder for therapists in Oklahoma City after the Oklahoma City bombing. While in Oklahoma, Borczon worked not only with the therapists who were treating family members and survivors, but he also worked directly with a survivor from the bombing. In 1998, he was awarded a grant from the National Academy of Recording Arts and Sciences to investigate the effectiveness of two different approaches of music therapy on expressive communication with autistic children, and in 1999, Borczon was awarded the “Betty Isern Howery Award,” the highest distinction given in the Western Region Association for contributions to the field of Music Therapy. He was asked to help in the planning of music therapy interventions for the students of Columbine High School in the aftermath of the Columbine tragedy and the Santee High School shootings. In 2006 He was awarded the “Award of Merit” from the American Music Therapy Association at the National Conference in Kansas City, Missouri. This award is the one of the highest forms of recognition given by the national office for contributions to the field of music therapy. In 2007 he was awarded the “Outstanding Faculty Award” from California State University, Northridge. He has presented numerous workshops on the effectiveness of music therapy in the wake of a mass disaster. 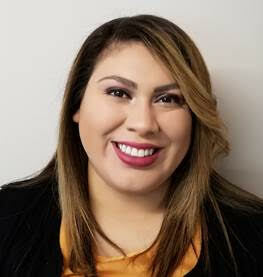 Yessenia Gonzalez, MSW, is a graduate from the Music Therapy Program at California State University, Northridge and a graduate from the Master’s in Social Work program at USC. Her clinical training at CSUN focused on children and adults with developmental disabilities. Yessenia completed her clinical internship at Fairview Developmental Center, in Costa Mesa California where she worked with adults with developmental disabilities to provide quality service that meet individual needs and promote self-determination and independence. She began her work experience at the CSUN MTWC in 2014, working with a wide variety of clients, in both individual and group settings. 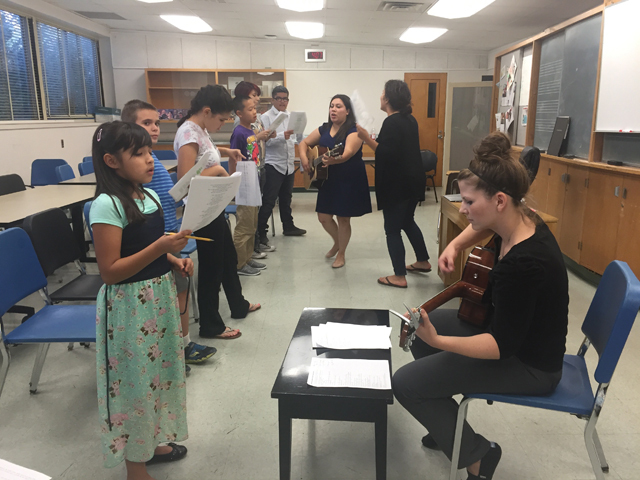 Yessenia has been with the Rising Star choir since 2014, and has also worked with the CSUN MTWC Sunshine Singers, a choir for adults with developmental disabilities. Through the implementation and integration of technology, she is able to meet the needs of her clients. Her clinical training as a social worker has focused on children and families and consisted of work in schools and non-profits. Along with her current work at CSUN, Yessenia works in Mental Health and uses music to connect with her clients. Yessenia loves using music to spread joy and build connections for clients. Director of The Rising Star Choir Nashville at Belmont University, an adaptive choir experience for children with special needs. Director of The Peterson’s Choir for Parkinson’s in Franklin, Tennessee, a choir to support and sustain the voices of those who have Parkinson’s Disease. Music therapist for Nashville Metro Parks disAbilities Day Program for adults with intellectual and developmental disabilities. Group Music Therapy Services for children and adults. Individual Music Therapy Services, specializing in children and youth with special needs diagnosis. Music Together, Center Director for 6 years. Twenty-three years of experience teaching private piano and voice lessons to children and adults in the Middle Tennessee area. Currently, the President of the Tennessee Association for Music Therapy. She holds a B.S. in Church Music from Trevecca Nazarene University and earned her equivalency to a B.S. in Music Therapy from Tennessee Technological University. Carrie is passionate about empowering the gift of music to individuals and groups! Director of The Rising Star Choir Nashville at Belmont University, an adaptive choir experience for children with special needs. Carrie is passionate about empowering the gift of music to individuals and groups! Alejandra J. Ferrer, Ph.D., MT-BC, Assistant Professor of Music and Coordinator of Music Therapy, joined the faculty at Belmont University in the Fall of 2015. Dr. Ferrer holds a Bachelor of Music in Music Therapy from The Florida State University (2004), a Master of Music in Music Therapy from The Florida State University (2005), and a PhD in Music Education from The Ohio State University (2012). 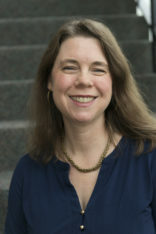 Prior to joining Belmont University, Dr. Ferrer worked as Adjunct Professor at Ohio University and The Ohio State University, where she taught music therapy and music education courses. Concurrently, she practiced music therapy at Nationwide Children’s Hospital, where she served infants and toddlers in the Neonatal Intensive Care Unit and supervised undergraduate and graduate practicum students and interns. Dr. Ferrer developed the first music therapy program at the Arthur G. James Cancer Hospital and Richard J. Solove Research Institute. Prior to that, she served adults with mental illness and substance abuse disorders in both acute care and forensic units. Additional clinical experiences include working with the gerontology population and children and adults with developmental disabilities. Dr. Ferrer is an active member of the American Music Therapy Association and a regular presenter at regional and national music therapy and music education conferences on topics pertaining to medical music therapy, prgram development, and professional issues. Her research has been published in the Journal of Music Therapy. Dr. Ferrer has authored one book chapter (Music Therapy: Bettering Lives One Note at a Time in Charyton’s Creativity and Innovation Among Science and Art) and most recently co-authored an article for the music therapy online magazine Imagine.